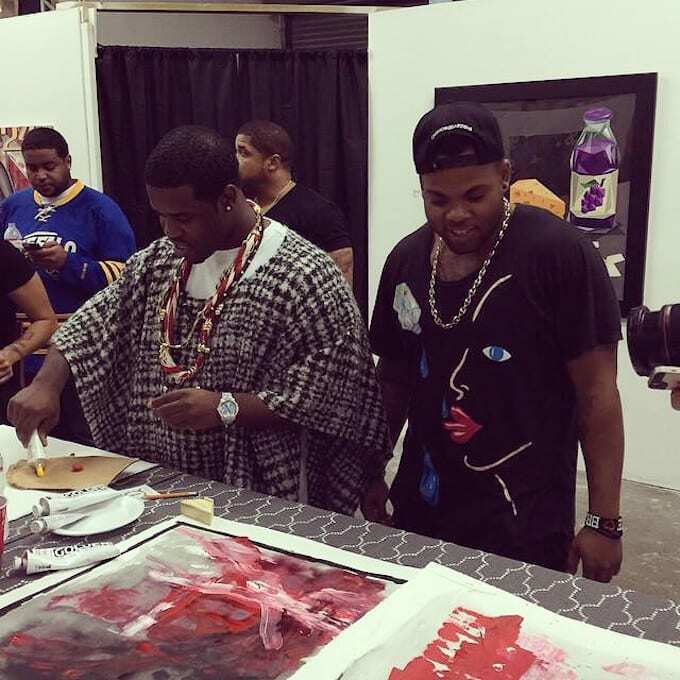 Taking a break from "Walk Off" competitions with Cara Delevingne, A$AP Ferg was out and about during Art Basel Miami Beach, which may have inspired him to create some art of his own. During the "Paradise Lost" group art show featuring BK the Artist, Jay West, Naturel, Icy & Sot, and others at CanvasFab, Ferg decided to do a little live-painting as people walked around viewing the exhibition. 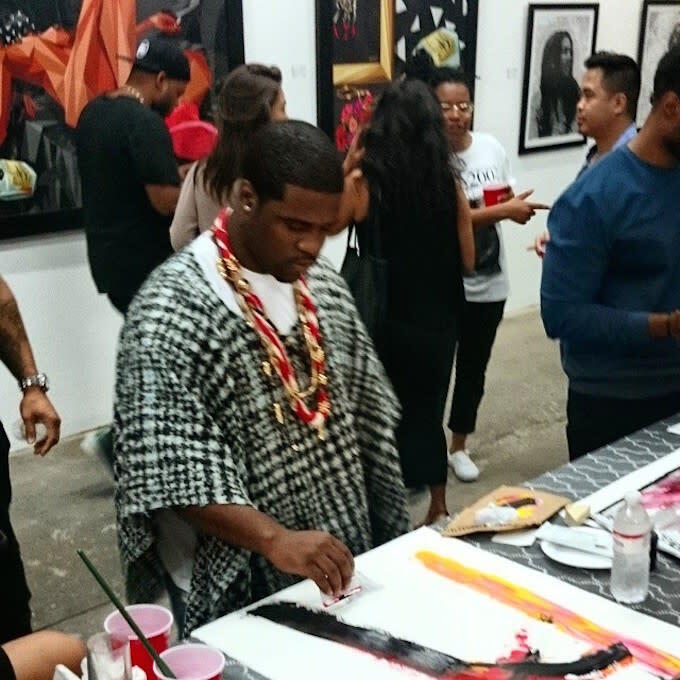 Of course we already knew that the Trap Lord is an artist and that A$AP Rocky has his work hanging in his home, but this may be the first time that we&apos;ve seen Ferg in action. 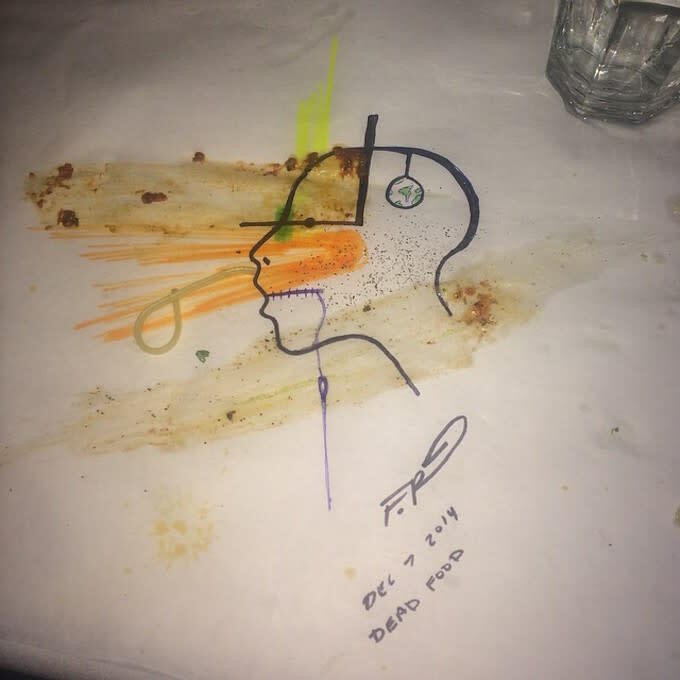 The art making also spilled over into dinner time, as Ferg used his food and markers to create a piece on the tablecloth called Dead Food, which he shared on Instagram right after posting a photo his new custom gold grill. For more of our coverage of everything cool that went down during Art Basel Miami Beach, click here.